Choosing The Best Stroller Or Buggy - Which? Stroller or buggy? Find out if you need one, when to buy it and how to choose the best stroller or buggy for your baby. Whether you're looking for a baby stroller you can use from birth, or a cheap stroller to chuck into the car boot to use on days out with your baby. Here's everything you need to know before you buy plus our pick of the best strollers. A lightweight stroller is a pushchair that's not as big and bulky. It probably won't take a carrycot, but may take a car seat. Strollers are also known as buggies or lightweight buggies, and they come in a variety of shapes and sizes, from the lightest, most basic strollers to more robust models with lots of added features. Often parents buy a pushchair or travel system first when their baby is young, then either move to a stroller when their baby is older, or keep a stroller in the boot as a spare pushchair for trips out in the car as it's lighter and easier to pack and use than bigger pushchairs or travel systems. lf it's not a from-birth stroller, you'll usually begin to use one when your baby reaches around six months old, as that's when they start sitting up unaided and can support their own weight. The small size and light weight of strollers make them a must for urban parents who regularly use public transport and are a good choice to take on holiday or on day trips. Compare all our stroller reviews or read on for our top five popular strollers. It should be simple to fold down and easier to store than larger pushchairs. They're usually cheaper than more elaborate travel systems, so they also make a good second pushchair to leave with the grandparents or your childminder. Not all strollers are suitable for newborns and babies under six months old as the backrest won't recline far enough, or they won't have enough padding to support a young baby. Strollers usually can't take carrycots or car seats – there are exceptions, though. Strollers tend to have a small wheel base, which means there's not much space for storing lots of shopping and their small, hard wheels means they're more suited to pavements than off-road or rough terrain. Strollers are made by pretty much every pushchair brand. The five most popular stroller brands searched for on Google at the time of writing are Silver Cross strollers, Cosatto strollers, Joie Strollers, Maclaren strollers, and Mothercare strollers. Follow the links to compare our reviews from these brands. The best stroller is one that's lightweight and easy to push, while offering a comfy ride for your baby. You also want one that's easy to fold and store and that's durable enough to last. Here we round up the most popular lightweight strollers, based on what parents have been looking at on our website over the past three months. Some are great, some not so good. Follow the links to read the full reviews, where you'll find out how your favourite scored and any pitfalls our testing uncovered. The Cybex Eezy S is suitable for babies over six months, or it can be used from birth with a car seat from Cybex, GB or Maxi-Cosi. It’s billed as being compact enough to be taken on a plane as hand luggage, and the one-hand fold will appeal to many parents, but is it worth investing in? Find out how easy it is to manoeuvre and use, and what our parent testers thought after taking it round our specially designed obstacle course, before parting with your cash. 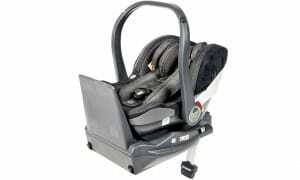 The Pop is one of Silver Cross' bestselling pushchairs. It's a lightweight stroller that comes in a range of colours and it’s suitable to be used from birth, thanks to the lie-flat seat which reclines to more than 150 degrees. 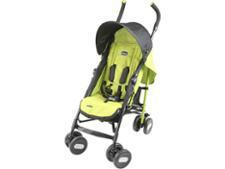 It will last until your child reaches 25kg (around six-years old), which is longer than most other strollers. Read our review to find out how it fared in our tough tests and whether it’s a good option for nipping to the shops with your baby. If you’re on a tight budget then the Chicco Echo may appeal. It’s one of the cheapest lightweight strollers we’ve tested and it’s frequently on offer at a wide number of retailers, despite being more than nine-years old. It has a number of features typically seen on pricier pushchairs, but as with most strollers it has small, hard wheels that typically struggle off-road. Read our review to see if this is the case with the Echo. The Babyzen Yoyo+ is an iconic travel stroller that you'll spot in many airports or train stations around the UK. We tested the very first iteration back in 2013 and have been testing the updated versions ever since. 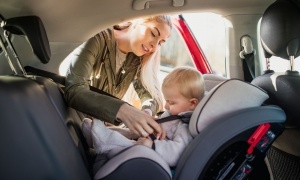 One new change is that it’s now travel-system compatible, which means you can buy car seat adaptors (£60) to use with baby car seats from Besafe, Maxi-Cosi, Cybex and Nuna Pipa. Find out whether there are any other big changes to this popular lightweight stroller that you need to know about. 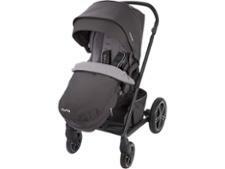 The Acro is, according to Mamas & Papas, its lightest and most compact buggy yet. Weighing less than 6kg, it should be easy to carry about or store at home, and it comes with its own carry bag so you can sling it over your shoulder. Read our review to discover if the Acro is an ideal pushchair to take on holiday or nip to the shops, and how it compares with other lightweight strollers we’ve tested. A buggy can cost as little as £20 up to over £200. How much does a stroller cost? You can pick a cheap stroller up for less than £20 – just don't expect much more than a frame, a fabric seat and some wheels. A mid-range model will likely set you back around £100 and will have a few more features, such as a hood, shopping basket, possibly some extra pockets for storage and an adjustable leg rest or a seat back that will recline to make daytime naps a bit more comfy. Top-of-the-range models can cost much more. A Maclaren can cost more than £200. But for this you'll get a pretty sturdy stroller that you can use from birth, a nice padded seat, larger wheels with some suspension and a whole host of adjustable features. 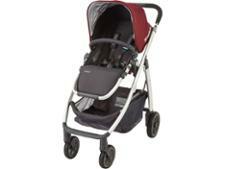 Double strollers start at around £150 for a basic lightweight model that can carry twins or two children. There are some strollers that can be used from birth; this means the seat back can be reclined to a lie-flat position like the Maclaren Quest, or you'll be able to buy a newborn accessory pack to convert the seat like the . A stroller can be less sturdy than a pushchair, or may not have much suspension, so tend to give a bit more of a bumpy ride. On some strollers for newborbs your baby can actually be closer to the ground which means more bending down for new parents. Many strollers have a forward-facing seat which can't be reversed so your baby can face you. If you want to keep your newborn facing you for that all-important parent-baby interaction, you may want to consider a pushchair or travel system instead. There are some strollers available now where the seat unit can be reversed, though, such as the Baby Jogger Vue and the Cosatto To & Fro. There's a new type of stroller - stroller travel systems. These are more sturdy than the traditional buggy, can be used from birth and can take a car seat or sometimes a carrycot. They are pricier than your average lightweight stroller, but as they’re suitable for newborns, you should get more use out of them than a cheap stroller that's only suitable for babies over six months. 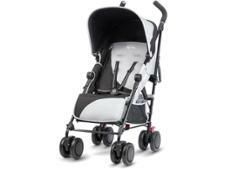 The Bugaboo Bee 3 is one of the best-selling urban strollers. It's also quite expensive, costing more than £500 simply for the chassis. 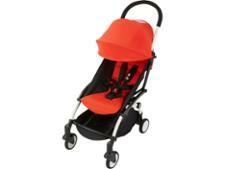 Its lightweight and compact design is very popular with urban parents. 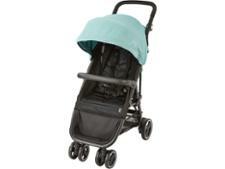 This type of buggy is also compatible with a car seat which makes it a travel system, too. 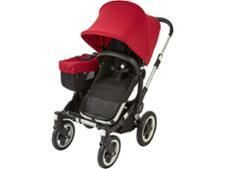 Also, read our reviews of the iCandy Raspberry or the Mamas & Papas Armadillo. If you'll stick to pavements, the park and shops, a basic stroller will be fine, but fans of long country walks should look for a model with bigger wheels and suspension for a more comfy ride. Car users should choose a model that can take a car seat. 2. Do you want to use your stroller from birth? If you want to use your stroller from birth, look for one that has a seat unit that reclines far enough, or has a newborn accessory pack to convert the seat to a lie-flat position. 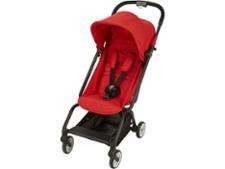 Otherwise most strollers can be used once your baby reaches six months of age. Will the buggy fit in your car boot when folded, and will it fit in your home unfolded? Also check that the buggy has a large enough shopping basket for your needs – strollers don't usually have much storage space. Our reviews will give you the space measurements. The cheapest and most basic buggy may not even include a hood, some buggies won't come with a rain cover, and you'll probably have to fork out for a footmuff to keep your baby cosy. Check any accessories before setting your heart on a model or you could end up paying a lot extra. If you can, head to the shops and try out the model you want. Try folding it and unfolding, and walking around with it. Use the brakes and recline the seat, and get a feel for it before you buy. Don't forget to do this before your bump gets too big if you're buying a stroller to use from birth!